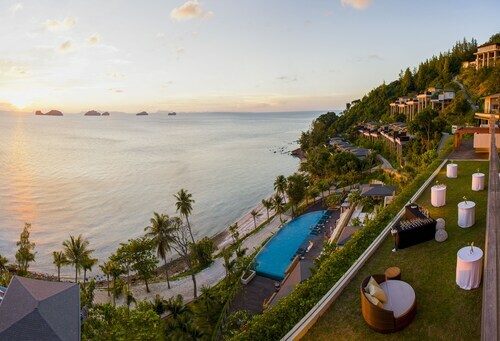 Nestled on the beach, this Koh Samui resort is within 9 mi (15 km) of Nagra Pearl Farm, Lipanoi Pier, and Lipa Noi Beach. Namuang Waterfall and Namuang Waterfall 2 are also within 9 mi (15 km). Nestled on the beach, this Koh Samui hotel is within 9 mi (15 km) of Samui Butterfly Garden, Raja Pier, and Namuang Waterfall. Namuang Waterfall 2 and Nathon Pier are also within 12 mi (20 km). 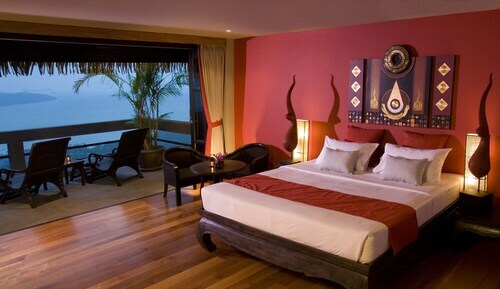 Situated in Koh Samui, this hotel is within 1 mi (2 km) of Pangka Beach and Samui Snake Farm. Thong Kut Beach is 1.6 mi (2.6 km) away. 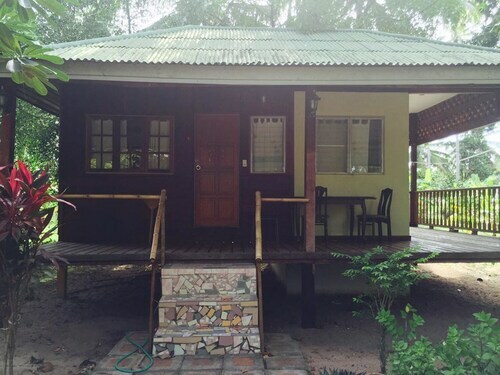 Situated in Koh Samui, this guesthouse is within 1 mi (2 km) of Thong Kut Beach and Samui Snake Farm. Pangka Beach and Laem Set Beach are also within 2 mi (3 km). Nestled on the beach, this Koh Samui aparthotel is within 1 mi (2 km) of Thong Kut Beach and Samui Snake Farm. Laem Set Beach and Pangka Beach are also within 2 mi (3 km). 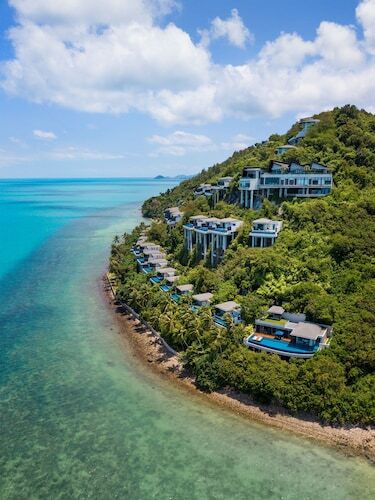 Nestled on the beach, this Koh Samui resort is within 1 mi (2 km) of Pangka Beach and Samui Snake Farm. Thong Kut Beach is 1.7 mi (2.7 km) away. This Koh Samui resort is on the beach, 0.7 mi (1.1 km) from Pangka Beach, and within 6 mi (10 km) of Laem Sor Pagoda and Nagra Pearl Farm. Lipanoi Pier and Mummified Monk are also within 9 mi (15 km). Situated by the ocean, this romantic villa is 0.9 mi (1.5 km) from Samui Snake Farm and 2.1 mi (3.4 km) from Taling Ngam Beach. Pangka Beach and Thong Kut Beach are also within 2 mi (3 km). 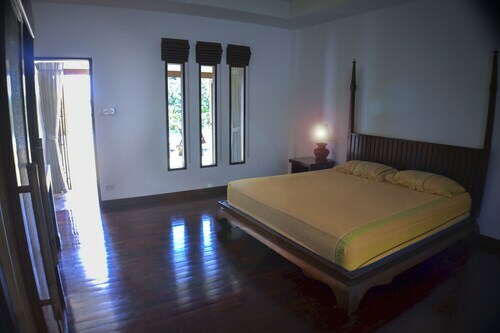 Situated in Koh Samui, this villa is 1.2 mi (1.9 km) from Samui Snake Farm and 2 mi (3.1 km) from Taling Ngam Beach. Pangka Beach and Thong Kut Beach are also within 3 mi (5 km). 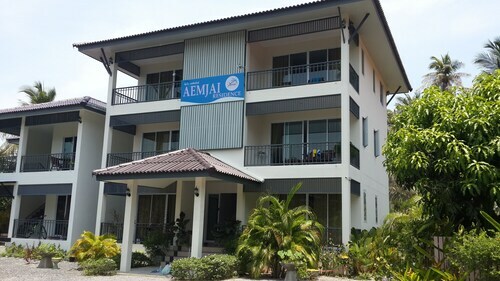 Situated in Koh Samui, this hotel is 1.4 mi (2.2 km) from Samui Snake Farm and 2 mi (3.3 km) from Taling Ngam Beach. Pangka Beach and Thong Kut Beach are also within 3 mi (5 km). Few things can put a spark in your day like the wonderful creatures at Samui Snake Farm can. If you're interested in seeing it, pack your bags and head to Koh Samui. 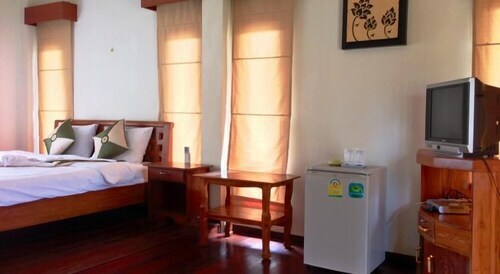 If you're looking for a suitable accommodation, you will be able to take your pick from 8 possibilities that are all within 2 miles (3 kilometers) of Samui Snake Farm. The Conrad Koh Samui Residences and the Conrad Koh Samui are a couple of well-liked choices here, located 1 mile (2 kilometers) and 1 mile (2 kilometers) away, respectively. You don't need to journey too far to discover an economical place to throw your bag down. There are a few hotels a short drive away. If you aren't quite sure where to start, consider the Lamai Seaview Apartments and the Bangrak Bungalow. Put your hassles on hold and partake of high-quality facilities and fantastic service at a close by, luxury hotel. 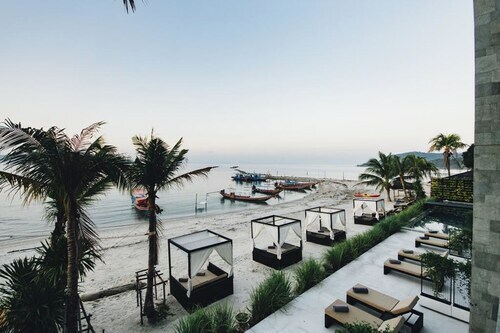 One convenient choice is The Sunset Beach Resort & Spa Taling Ngam, 1 mile (2 kilometers) away, or you could try the Centra by Centara Coconut Beach Resort Samui, 0.8 miles (1.3 kilometers) away. Just 0.07 miles (0.11 kilometers) away, Nong Kung Restaurant (ร้านอาหารน้องกุ้ง) (Taling Ngam, Ko Samui District) is just the venue to have a satisfying meal after a busy morning. Pack a simple picnic and spend an afternoon admiring the water and breathing the fresh air at Pangka Beach. If you ever need to escape the heat, stop by Thong Kut Beach, and dip your toes in the relaxing waters. Eager to splash some cash? The well-known Mode Milano Tailor Shop is an iconic store on a lot of people's itineraries. Gain a deeper understanding of the locals' spiritual beliefs and perhaps even recite your own prayer at Laem Sor Pagoda. There's nothing quite like the lovely serenity of sitting beside the water. Take some time out and simply enjoy watching the sun reflect on the water at Thong Krut. How Much is a Hotel Room in Samui Snake Farm? Hotels in Samui Snake Farm start at $21 per night. Prices and availability subject to change. Additional terms may apply. 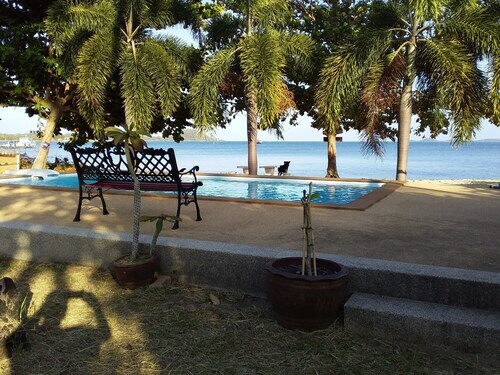 5 Islands Beach House Beautiful, 3-bedroom Beachfront Villa on Koh Samui With Fantastic sea Views!